There are a lot of companies out there selling hot tubs and/or spas. 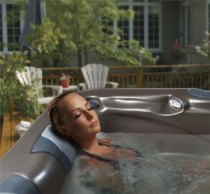 You can become very overwhelmed very fast by all of the features spas can have on them. Do you really need all of that extra stuff? What is a good spa? Who do I trust? Here are just a few tips on making sure you choose the right spa for yourself. Make sure you purchase a spa from a reputable company. The company you buy your spa from should stand behind their product and should be able to service that product if anything should go wrong with it. Not only should the company you are buying the spa from be reputable but the company that makes the spa should also be reputable. Talk to the people selling the spa. You should very comfortable with them and you should also feel like they care for you. They should listen to all of your wants and needs before suggesting any spa on their floor. Who will repair the spa if something should go wrong? This is a huge factor to consider. Make sure the company has a spa tech that knows how to fix the spa you are buying. There has been more than one instance when a customer has bought a spa either on-line or from a company that just comes into town for a weekend and it has problems from the start. Who do you call to fix it? Are you going to have to fix it yourself? Where can you get the parts needed to fix it? How long is it going to take for you to get those parts? Can you get any credit for the labor you paid to have it fixed? A local company with a great reputation will be able to service that spa right away and be able to get the parts needed fast. What kind of support will you get with any questions you have about the spa? Most companies will sell you your spa and then disappear. Wouldn't you rather talk to someone face to face about the spa instead of someone on the phone who is reading from a script? Are you going to get a personalized Spa School to get you familiar with your spa? Will they be there when you have questions in regards to the chemicals you are using? Are they willing to get the spa manufacturer involved if needed? These are all questions you should ask yourself or better yet ask your sales person. You will be able to tell if the sales person is being honest and genuine with you. What kind of warranty comes with the spa? You should make sure you get a copy of the warranty in your hands either before purchasing or upon delivery. Some companies will only give you a copy upon delivery. Make sure you know exactly what is and is not covered. For example - Some manufacturers will only pay labor for the first 90 days of owning the spa then only pay for parts the rest of the time. Some change warranties over the years. If that happens and you have a copy of the warranty in your hands they will honor it. WET TEST THE SPA!!!! I always always encourage people to sit in the spa before they buy it. Why? To make sure it is the right fit for you. Different manufacturers plumb their spas differently which results in different types of massages. All seats are different and one seating arrangement may be more comfortable than another. Some people will come in to our store and sit in the one we have running, others will just sit in them dry. Me? I would go for the wet test - it's like getting a free massage!!! I know that purchasing a spa can be overwhelming. I also firmly believe that it can greatly impact your quality of life; from improving your health to reconnecting with your loved ones. If you take a bit of time and do your homework you should have no trouble finding the perfect spa.